Note: Despite the Similarities in the logo of The Spa and The Spa Indulgencia, do not be deceived, they are not related. 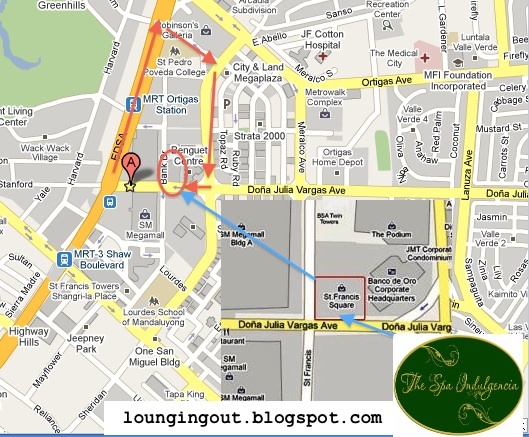 From EDSA north bound, a few meters right after SM Megamall, turn right between Asian Development Bank and St. Pedro Poveda College. Turn right to ADB Avenue. Turn Right to Doña Julia Vargas St. St. Francis Square Mall will be on your right. 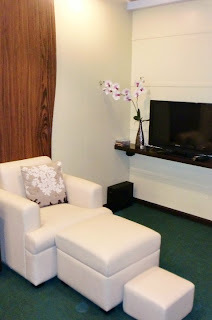 The place looked homey and appeared like a real spa despite being at the second floor of a "greenhills" like mall. The lounge chairs are for the Indulgencia Classic Nail Treatment. These are the massage beds, it turns out these are 2 of the 3 (or maybe 4?) massage beds in The Spa Indulgencia, from what we've seen. And these two beds are in one room and separated only by a curtain. 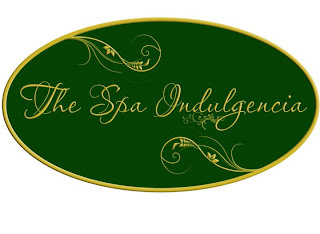 The Spa Indulgencia offers basic spa and massage services. 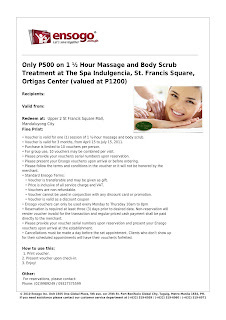 As noted above we are redeeming our Ensogo Coupon for 1 and 1/2 half Hour Massage and Body Scrub. But since they offered basic nail services, we also tried their Manicure & Pedicure Combo. Manicure & Pedicure Combo (Php230) - We knew we had a problem when the "manicuristas" were borrowing each others nippers. Apparently they were missing some equipment. We had to say that our initial impression was immediately crushed by this incident. They could have informed us about the situation and we could have simply cancelled our requested service. We were quite surprised when we were charged Php245 for this service, it turns out we charge 1 Manicure (Php100) and 1 Pedicure (Php145) each and not the combo price of the service we requested, which was weird specially when we specifically requested for the Combo service. 1 and 1/2 Hour Massage and Body Scrub (Php1,000) - The massage was good. We do not really know why we were caught between disappointment and pleasure at this point until we remembered that were not having basic massages but we had body scrubs coming up. It was also quite disturbing that the attendants who had no clients to attend to were very noisy. And despite the god massage, we were not relaxed at all. The Body Scrub was weird. We were scrubbed in the same bed we had our massage. Remember we said earlier that they had no shower room and restroom? This is where it all matters now. After the srcub, we were the therapist washed away the "scrubs" by pouring water from a pail beside the massage beds... We knew then that this was an experience we will never forget and wouldn't want to have again. 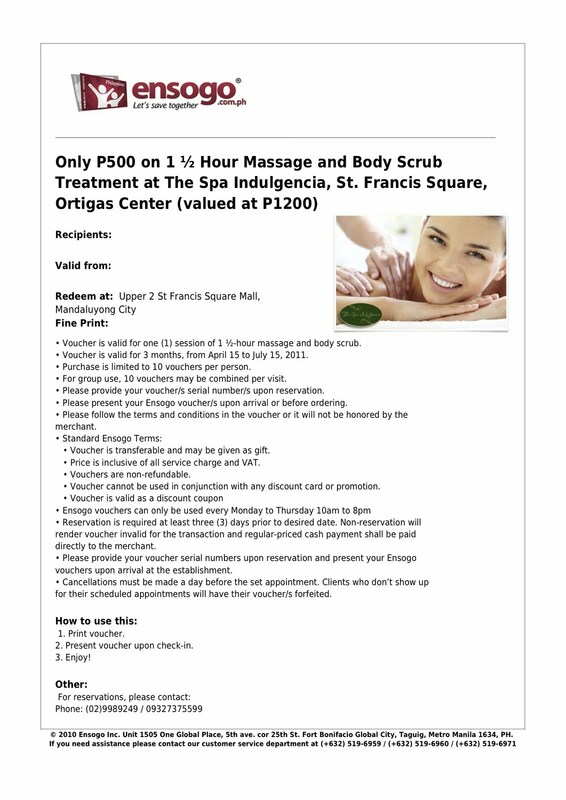 If you still want to try their services after what we said, you can get discounts by availing of group purchases from sites such as Ensogo and Groupon if they are still available. 2: We recommend you try other spas and salons for the same services offered. The massage was good and that is the only reason why we did not make this into a 1 experience. We had a terrible body scrub experience and didn't feel that all the dirt from the scrubbing was washed away. The "manicuristas" sharing the nipper while working on their clients was a big downer. On top of that, we felt like it could have been done better. 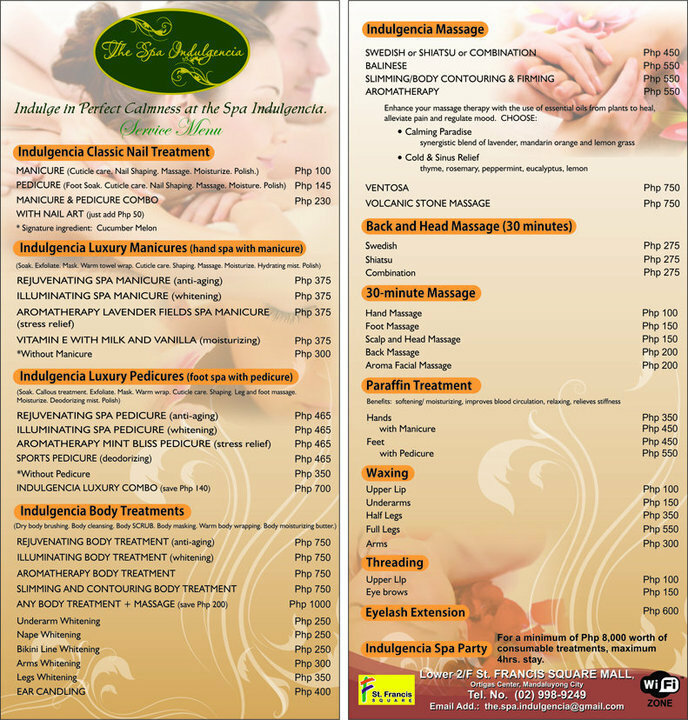 But if you're getting a basic massage, the masseuse in The Spa Indulgencia could be worth your while and it could be a 4 leaning to a 5 if you are able to avail of their promo prices, otherwise it would be a 4 leaning to a 3 for the regular prices. 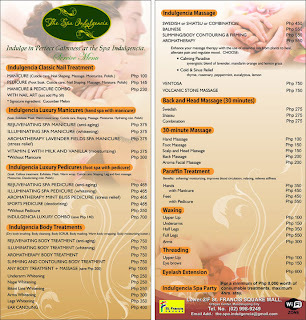 We still think that Php275 for a 30-minute massage given the facilities is a little steep. If you have comments or recommendations, please don't hesitate to drop us a line on the comments page. I almost purchased that deal, good thing I didn't. good review!